Jassi Gill is a punjabi music Rockstar. He has always been an entertainment connoisseur in the Punjabi music industry. The best thing about his music is that he doesn’t feel afraid to try something new. “Dil Tonn Black” is the latest example of the same factor. It brings in a very fancy dancehall pop type of vibe with it. Not only is the track sounding very different, every single piece or element of the track has a different vibe of its own. The vocals fit the track perfectly and are in great harmony with the melodics of the track. As of this moment it stands at number 32 on trending in India. And we can expect that number only to go higher. This is because of one other crucial factor that has recall value of its own. 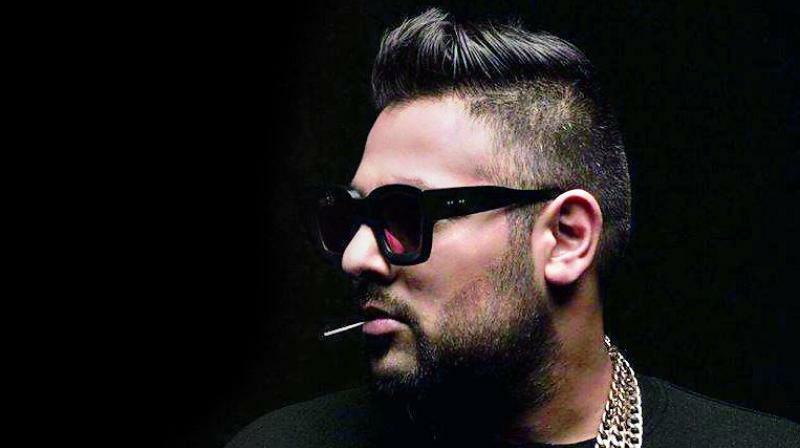 The fact that Badshah has been brought onboard for the track brings the sound of the track to that extra edge over other recent pop songs. Even the breakdown for the rap portion sounds really different and complements it to a whole new level. Jassi Gill has donned a bad boy image throughout this track and the video has been shot and executed really well. In just 2 days the video has gained over 6 million views. The song is really fun to listen to over and over and will get you in the mood to dance no matter what the situation. Badshah’s rap on the track takes the best portion of the track and keeps you moving and grooving to the sounds. Check this fun track out in the link below. Don’t forget to share and spread this with your friends and play this loud and hard at parties.